This is a “devil’s advocate” post. We’re going to make an argument against discounting your event tickets. Of course, there are often good reasons for creating ticket discounts. If nothing else, discounts can help drive volume early in the ticket-sales process. Or maybe you want to lock down a small set of highly desirable attendees. (Hello, thought leaders!) Discounts can help. Ticket discounts can also help expand your audience in general, which is no small thing. Still, ticket discounting isn’t a decision to be made lightly. In some important ways, discounting can create a ticket-sales “sugar rush” that’s great while it lasts, but has some real costs down the line. Let’s start with the most basic argument against ticket discounting, which is a simple one. There’s a decent chance the discounts won’t do what you intended them to do. This is especially true when you’re selling in the context of people’s lives at work. If you’re sitting in the office right now, you don’t have to agree with this out loud, but I’ll bet you know it’s true. We’re all more careful with personal money than we are with corporate cash. A hundred-dollar discount at home is a lot more motivating than a hundred-dollar discount at work. In the work context, a hundred dollars might not even be noticed. Trying to drive sales based on the price sensitivity of people who aren’t particularly price sensitive… it’s an idea that isn’t going work very often. Like the point above, the timing issue is mostly about selling to business buyers, particularly those who have to travel to your event. To most business buyers, the total cost of attendance is going to be a far more important factor than your standalone ticket price. Airfare and lodging will most likely dwarf the cost of your tickets. And business buyers definitely do look for discounts on travel costs, if only because travel is such a large, ongoing part of the cost of doing business. So what happens if your ticket discounts are in place when airfare is at its most expensive? Your discounts aren’t going to matter much. People will trade cheaper airfare for full-price event tickets any day. 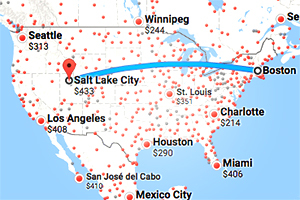 And even if it were possible to predict changes in travel costs (it isn’t), it would really be impossible to do it in a way that accounts for travel from every potential attendee’s home town. The likelihood of finding a universally-suitable timeframe for discounting your tickets is nil. If the goal is to create discounts that affect an attendee’s total cost of attendance in a meaningful, motivating way, it’s all but impossible to get the timing of that exactly right. Discounting affects peoples’ value perceptions. When you pay less for something, especially due to a price that’s been “slashed,” you value it less. This is something we all realize intuitively, and social science backs it up. Say you just made a purchase (like an event ticket), and that purchase seems less valuable than you expected (because you bought it at a big discount). 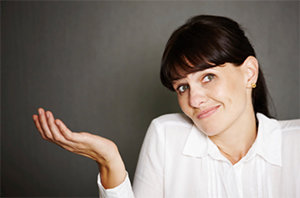 What happens if something comes up that makes attending the event difficult? Bagging the event becomes a thinkable solution. And why not? You’re not going to get as much out of it as you thought… your discount-affected mind tells you, anyway. In other words, discounts can have the effect of making your expected attendance “soft.” If you’ve been plagued with no-shows in the past, you might want to examine your discounting strategy. You could be undermining the perceived value of your event. And that’s just in the short-term. It’s over the long haul that discounts can really work against the grain of what you’re trying to achieve. Over time, the “not as valuable as I thought” phenomenon will cheapen your event’s brand, making it increasingly difficult to sell tickets, discounted or otherwise. Also, you’ll train people to be discount shoppers when they’re thinking about your event. Setting aside the impact this has on your revenue potential, it also means it’s going to be a lot harder for your event to continue to grow. Discount shoppers are notorious for their lack of brand loyalty, and for being unreliable sources of referrals and repeat business. Just ask Groupon. 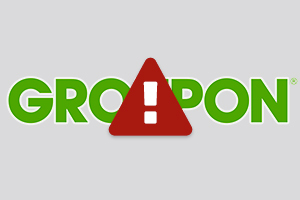 You don’t want to create the Groupon effect. Thinking more immediately, if one of your reasons for holding an event is to close deals, do you really want to create an environment where every prospect that attends is a card-carrying bargain shopper, thanks to your discounts? The candid answer here is that there is no answer, and certainly no single answer that holds for all cases. Our events are different from your events. 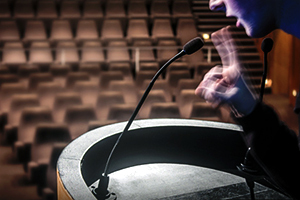 You should use discounts judiciously, to achieve tightly-defined goals for your events. But be careful. Don’t overdo it. If you find that you’ve become somewhat dependent on discounts to drive sales, maybe it’s time to step back and take a look at your pricing strategy overall. A simple pricing adjustment for your next event could bring the positive effects you expect from discounting, but with none of the potential for long-term harm.